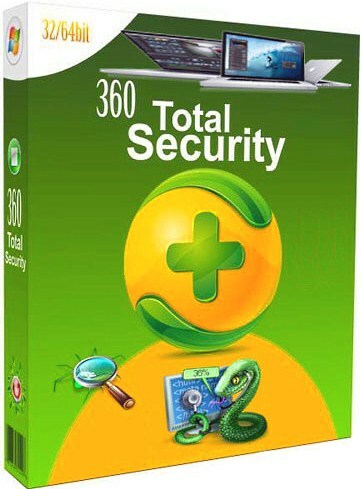 360 Total Security - download in one click. Virus free. Download the latest version of 360 Total Security with just one click, without registration. It is a standalone setup package that contains the full offline installer for 360 Total Security. 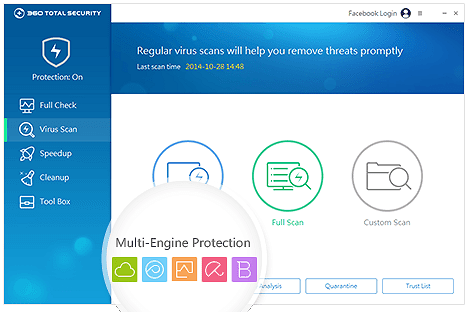 QIHO released the new version of 360 Total Security — free antivirus software, which protects you from malware, phishing programs, and ransomware, as well as provides measures for safe browsing and chatting, online shopping, protected downloading. The application has an easy to understand interface: it takes one-two clicks to start full PC check or to use clean-up feature. Full scan takes rather long time at first. However, the next full PC scans are three times quicker. 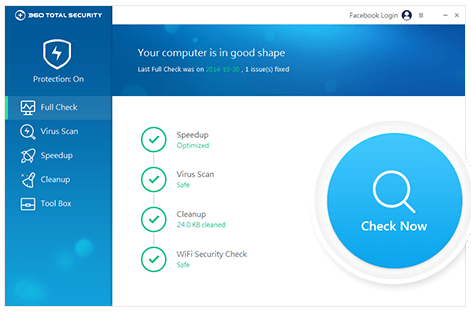 The clean-up provides common tools to quicken your PC performance and keep it in top condition, without useless files and unfinished uninstalls on it. Also, you can shorten boot time of your PC, as well as other items and plugins. Another feature of the 360 Total Security Antivirus is various modes of protection. The developers suggest you choose from three user modes - Performance, Balanced, and Security - or to adjust the application to your liking after selecting the fourth option - Custom mode. 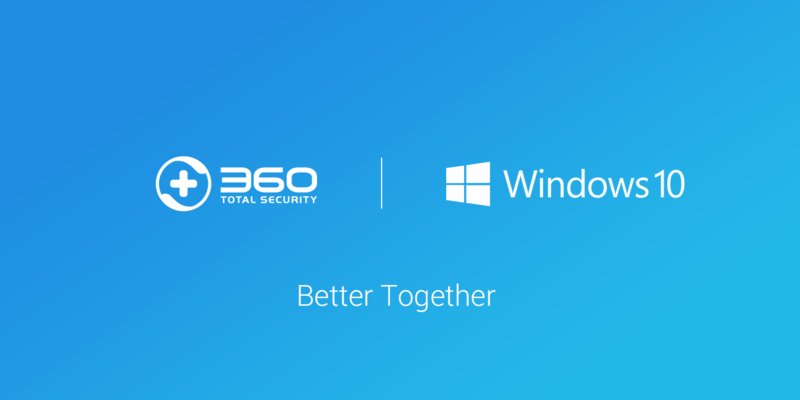 So, what else is new in 360 Total Security? The latest version has a Premium version to upgrade to. There are four main reasons to do that. Firstly, the premium version has a real-time protection feature and guarantees that your antivirus will get timely and accurate updates without disturbing you with that task. Secondly, the paid version has a sandbox - you can execute unknown programs there with no risk for your system and data. Thirdly, the upgraded antivirus version has a Game booster and Game mode to optimize the performance of your computer during critical missions. Finally, it has a nice addition - colorful and lively themes to make your antivirus as stylish as you want.